Advanced Training Course “Scientific Writing”, 11-15 March 2019. It is no secret that some of the most creative painters have looked for inspiration by visiting and immersing themselves into natural and cultural landscapes. While producing academic papers might seem a world apart from the color-splashing, emotive process of creating a piece of art, it is certainly also true that the beauty of rural Catalonia played an important role in the Advanced Training Course on Scientific Writing (ATC-7), which took place between March 11th and 15th. 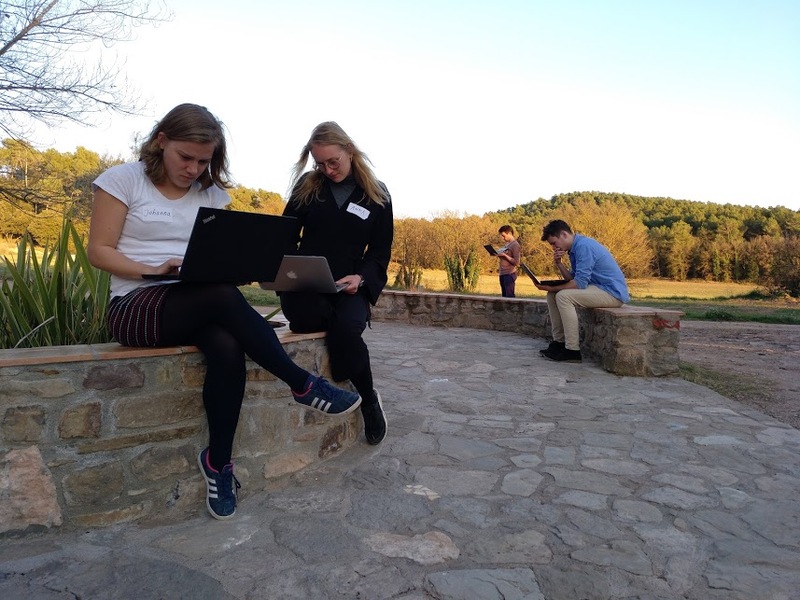 Surrounded by mountains, forests and fields and blessed with long hours of sunshine, “Fundació La Plana” provided the spacious facilities for our splash into academic writing. 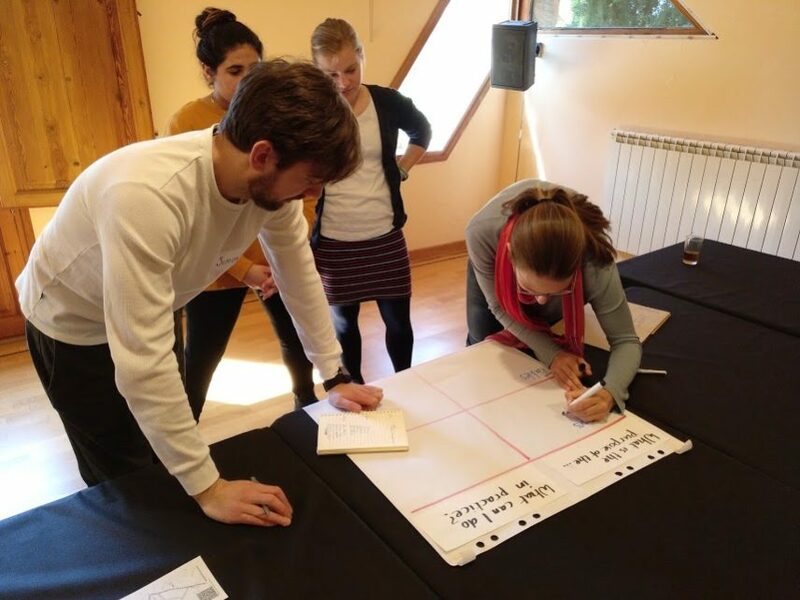 Located in a “Masía”, a traditional rural family-farm construction, about an hour outside the bustling city of Barcelona, we spent a brief week there learning about the ins and outs of academic writing. How experienced are you with academic writing? How much do you enjoy it? The individual PhD candidates had quite diverse responses to these questions. However, Gavin Lucas from thepapermill led the initial 2-day workshop in such a way that all of us now feel much better equipped for the process of writing scientific papers, which – as we now know – begins long before putting the first words together by carefully planning a research project. Who is your reader? How do you build up and deliver on expectations through the structure of your text? 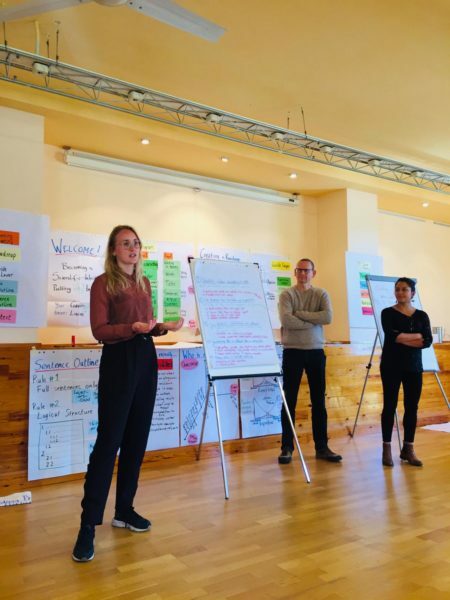 Being confronted with these questions, encouraged to debate and to apply the insights to our individual manuscripts, everyone enjoyed a lively and productive atmosphere throughout the workshop. We could take away very practical tools on word use and sentence structuring, which will help us to write in a readable and coherent style. In between sessions, the ESRs enjoyed the Mediterranean food, the warming afternoon sun and the canine companionship, which even prompted some to assume veterinary responsibilities. Taken together, the beautiful views, pleasant weather and cuddly dogs may have delayed some of the activities, but they also made sure that this training course was a memorable experience even beyond the important content itself. In the second part of the week, Ole Mertz and Thilde Bruun provided some insights on how editors evaluate the papers they receive. The role of titles and abstracts in the submission process received particular attention, and many hands-on examples made sure that this session was both practical and interactive. When Gabi Sonderegger presented her tidy system of archiving notes and managing literature and references, some jaws dropped and heads were scratched, most likely following an inner confession of one’s own messiness in these processes. Finally, a course on writing would defeat its purpose without providing some time for just that and on the last day the ESRs scattered across the venue to work on their own manuscripts and collaborative projects. The case studies and landscapes that the ESRs deal with in their projects vary widely and may seem distant from this place, but I am sure that when one looks closely enough, one will find a bit of rural Catalonia in the work of all of us after this week. After all, academic writing and painting may have more in common than it first seems. A big thanks goes to Gavin Lucas from thepapermill, Ole Mertz and Thilde Bech Bruun from University of Copenhagen and to Fundació La Plana.